Product categories of Goji Berry, we are specialized manufacturers from China, Goji Berry, Goji Berry Plant suppliers/factory, wholesale high-quality products of Goji Berry Juice R & D and manufacturing, we have the perfect after-sales service and technical support. Look forward to your cooperation! Goji Berry is Chinese important "medicine food homology" functional genuine herbs. As the origin place and main producing areas of Chinese and world wide Goji berry, Ningxia Province has preponderant industry. Goji industry has been the important pillar in adjusting agriculture structure and transforming the economic growth pattern. There are many problems in traditional Goji planting, such as non-standard planting, unstable quality, Goji low safety level, depending too much on chemical pesticide and fertilizer, polluting air and groundwater, delay ripening and integrating in corresponding cultivation techniques, low penetration of new technologies and extensive management. 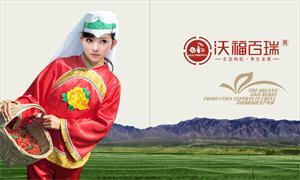 Our company began planting organic Goji berry from 2003, and has invested more than RMB 36 million. Using the mode of transferring land and subcontracting, we have established more than 75 hundred acres of organic Goji base in Zhongning, Haiyuan, Guyuan and Delingha, under the Good Agricultural Practices(GAP). High standard design, scientific management, standardize manufacture as organic standard from organic base choosing, plant breeding, planting, fertilizing, diseases and insect pests controlling, picking, to transportation, further processing, sale. We apply quality traceability system, mechanized farming, standardized management, proceeding operation, stoving and processing together. 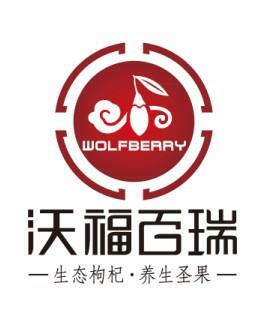 Wolfberry Company mainly introduces Goji diseases and insect pests bio-control technology in technique, such as matrine, veratrine, Cynanchum komarovii, pyrethrum; also introduces modern high biological technology (natural biological and plant pesticides such as biological protective agent, fertilizer-making agent, soil purificant, ferment fertilizer, biological enzyme, Cynanchum komarovii), combining use "prevent", "tempt", "seal", "engineer", "change", "drug".Effective prevent and control Goji pests and diseases, achieve manufacturing "safe, effective, steady, controllable" high quality organic Goji. Our company is the only enterprise internationally recognized organic food certifications by NOP, EU, JAS and China, is the birthplace of Chinese organic Goji berry.